Are you wondering why you need to reconsider replacing your current garage door, especially since it’s serving you well? A home with an excellent curb appeal has more value than one that is plain. To ensure that your home creates a first good impression to anyone walking in your compound, you need to make sure that the landscaping is professionally done and the doors design and color match with your home décor. This includes your garage door. If your current garage door does not suit your current curb appeal, then you need to replace and get one that will. The following are reasons and situations that should encourage you to replace your garage door. Some garage doors sag and bow when they get old and they are usually hard to operate. It is important to always keep your garage door in good working condition. If you experience any problem with your garage doors, you should have them repaired by a good company that handles garage door repair in Thornhill. However, it is possible that your garage door is beyond repair, and that means a garage door replacement is warranted. If you are planning to change the look in your home, you need to consider changing your garage doors as well. Getting a new garage door in different style and color will set a pace for redecorations plans. You can add unique garage windows to dress up your home better. Replacing your garage door is usually a quick and cheap way to change your house exteriors. If you have a garage door that is not insulated, it means that you pay more on heating bills since your garage cannot contain heat. You need to get garage doors that are insulated to reduce the amount of heat that gets lost in the garage and the rooms adjacent to it. If your garage has a room above it, having an insulated garage door will make the upper room more comfortable. 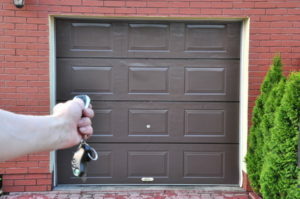 If you have an outdated garage door it means you have to operate it manually. Such garage doors require high maintenance to keep them looking good and new. There are maintenance-free garage doors that do not require painting all the time. You can invest in one of these doors and you occasionally just need to clean them using soap and water. These doors also have new opening systems which make operations easier. If you are planning to resell your home in future, it is wise to start investing in raising your property value. Investing in a good automated garage door automatically raises your property value. Installing a low maintenance garage door will give your potential buyers a good first impression of your house. You will be able to sell your house for a good price. The latest garage doors are installed with photo eyes which can sense any obstruction when the door is closing and they automatically stop. This is a safety feature which protects pets and children from injury. The garage door is also protected from becoming damaged in case there are objects that can lead to jamming. Replacing a garage door with the latest model helps to reinforce your home security. New garage doors are much harder to break into and this protects your home from burglars. Do you know that most burglars get access to homes through the garage? Make sure that your garage door is always locked and is secure to keep crooks from your home.